JP Michel is the Founder and Managing Partner at Blue Ocean Harvest and the co-founder of Grupo BOH. Since the inception of Blue Ocean Harvest in 2007, Mr. Michel has been hands-on in leading the firm’s capital markets platform across South and Central America and the Caribbean. In this capacity, Mr. Michel has advised a number of finance ministers, central bank governors, and presidents across Latin America, helping implement market based policies that attracted foreign direct investments in their respective countries. Mr. Michel is also currently a partner at HedgeServ, a top global fund administrator with over US300 billion in AuA, leading the firm’s expansion efforts within South America. Prior to Blue Ocean Harvest, Mr. Michel funded, built, and successfully sold Cognit Enterprises, Inc., a financial software company, which provided value at risk analytics to asset managers and investors across the United States and Europe. Prior to Cognit Enterprises, Mr. Michel worked at JP Morgan, serving as a Vice President responsible for emerging markets-focused investment banking. Previously, Mr. Michel worked at IFS, Ltd, a pioneer in fund administration. As a Director, Mr. Michel built the firm’s Dublin, Ireland operations and contributed to IFS’s successful acquisition by State Street Bank in 2002. 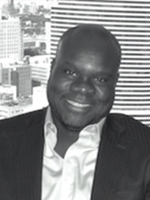 Mr. Michel received an Executive MBA from Columbia University Business School and a B.A. in Political Science with a concentration in Economics from the State University of New York at Stony Brook. Mr. Michel continues over a decade of philanthropic and pro bono socio-economic development efforts across the LAC regions, with an emphasis on education, research, and mentorship.